Giving – why is it important? Welcome! St Chad’s is a large friendly and outgoing Church family. We have a busy Parish Centre which lies at the heart of our outreach, supporting a number of different community groups. We are committed to supporting people and families in lifelong Christian discipleship. We are an intergenerational Church with members ranging in age from a few weeks old to 97. We recognise that individuals and households are fully a part of the life of the Church by virtue of baptism and we also strongly encourage people to claim the Christian faith when they feel able to do so at Confirmation. St Chad’s have around 200 adult members who worship with us either on Sundays or during the week. National week by week Sunday attendance isn’t what it was but I as Vicar am simply delighted to see people come to Church when they can make it, as individuals and as families. At St Chad’s we try to make provision for children of all ages with Busy Bees (0-3s), Fireworks, Rockets, etc and we work hard to have age appropriate activities for each branch of our Sunday Club every week. We work in close partnership with our Church school St Chad’s Church of England Primary School and also have strong links with Abbey Grange CofE Academy. 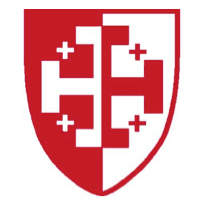 I encourage all our Church members to support the ethos of all of the schools that we are connected to within the parish and to nurture each child at each school in lifelong faith and trust in God as the source of all being and fulfilment and loving. Both Richmond House School and Moorlands School are in the parish and come to the Church for services regularly. Children from Weetwood Primary School also come and visit the Church regularly for services and events. For information on the rules for faith references for our local C of E primary school and C of E Academy, see the bottom of this page. St Chad’s Church is a popular venue for weddings, (as is our Parish Centre for wedding receptions), and we carry out around 20 baptisms over the course of a year. We also host around 20 funerals in Church each year. Baptism is offered free of charge as a gracious gift to all families who seek baptism. We make no conditional terms on those who seek baptism in terms of Church attendance but rejoice when people enjoy worshipping with us and then choose to become a full part in our both our worshipping life and in service to the local community. We try to make the pastoral care giftings of both lay and ordained members of the Church available to anyone who asks for them, to support people at all stages of life’s journey. We will endeavour to faithfully remember in prayer (and to visit as well) anyone in our Church family and within the locality (i.e. parish of Far Headingley) who is unwell or in hospital. The Vicar and the friendly visitors team will gladly visit people in the parish who are reaching the end of life, either at the local hospice or in their homes. All those visiting vulnerable adults have Enhanced CRB checks and have been trained in setting boundaries in the offering of appropriate spiritual care. There is healing ministry offered in the form of Anointing and Laying on of Hands and personal individual prayers for healing at our main Parish Eucharist each month. We recognise that we are all in need of healing all of the time. Our desire is always for healing in body, mind and spirit. A holistic understanding of healing understands that healing is not always curative – we rejoice that it sometimes is as well. The Church’s ministry of healing embraces healing of the emotions – and freedom from unnecessary suffering and guilt. St Chad’s aims to be a place where anyone who has suffered spiritual, emotional and physical abuse can worship safely in safe space, using language and ways of gathering which reflect that. Safeguarding is important to us as a Church family. The creation of any environments where physical, verbal and emotional abuse might be perpetrated are not tolerated at St Chad’s. This is reflected in the life of the community organisations that meet under the umbrella of the Church on both Church premises and in the parish centre. Healing ministry and sacramental confession are also available at other times by appointment. Important note: the rules for faith references for our local C of E primary school and C of E Academy have changed in that there are going to be two categories, one is “at the heart of the life” of the Church and the other is “known to” the Church. The middle category is being removed recognising that, whilst we retain the strong ethos of a Church school, we also are open to those who practise their faith who are from different Christian denominations and different faith traditions. Someone is “known to the Church” if for instance a child is baptised at St Chad’s but the family never come back after baptism. Someone is “at the heart of the Church family” if they attend Church at least twice a month. We try at St Chad’s to have a very strong emphasis on worship that engages children at their level so that they feel that they are fully a part of the life of the Church. Currently we are after a time of consultation suggesting that children who are baptised may receive communion before they are confirmed. There will be education and nurture for children who regularly attend Church to receive the bread and the wine, symbolic of the fact that they and their families are “at the heart of” the Church community. our new history begins with the resurrection. Church Times Green Church Award Winners! 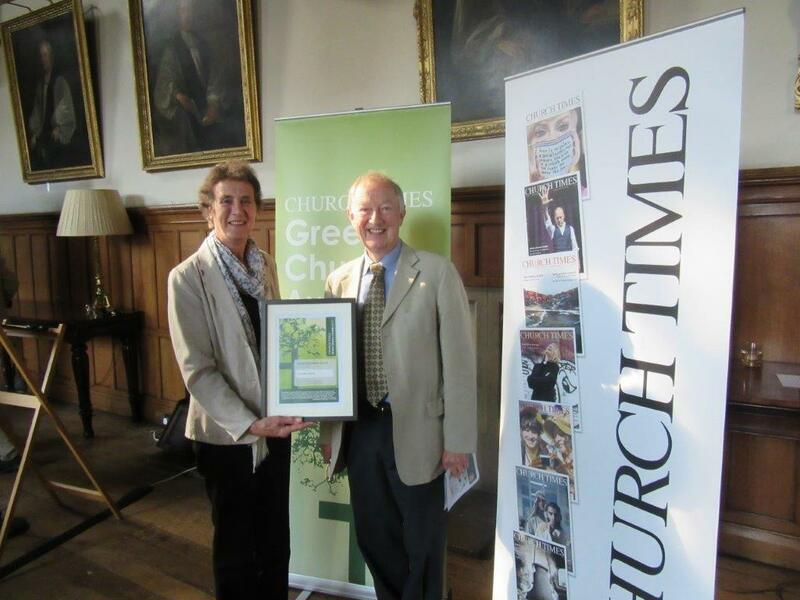 We were so proud to find out that St Chad's had won the Green Futures Award at the recent Church Times Green Church Awards. Find out more here.